Indoor Air Quality (IAQ) refers to the air quality within your home, especially as it relates to the health and comfort of building occupants. Understanding and controlling common pollutants indoors can help reduce your risk of indoor health concerns. Protect your health with air that is FRESH, CLEAN, and PURE.™ Our combo systems are considered whole house air purification solutions and protects families from germs while removing VOCs and odors from the living space. 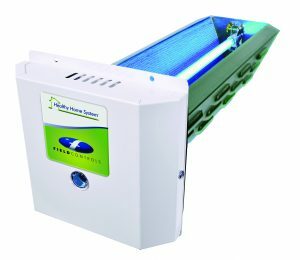 The Healthy Home Duo Systems combine state-of-the-art technologies to purify the air using our patented PRO-Cell™ Technology, an exclusive Photo-Reactive Oxidation process. 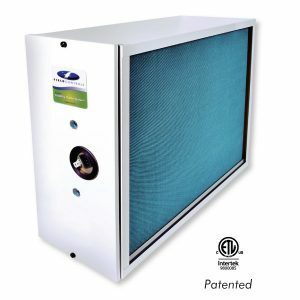 MERV 13 High Efficiency Filtration traps mold, bacteria, dust, dander, and pollen. UVC Germicidal Purification neutralizes bacteria, mold, and viruses. Patented PRO-Cell™ Technology eliminates odors and VOCs.